Welcome Families, Educators & Ed Tech Enthusiasts! Part carnival, part scavenger hunt, part education fair for parents and their children in kindergarten through 8th grade, the A’Fair is an interactive, fun-filled event that introduces NYC families to Education Technologies. • It’s all Fun & Games: Educational too. 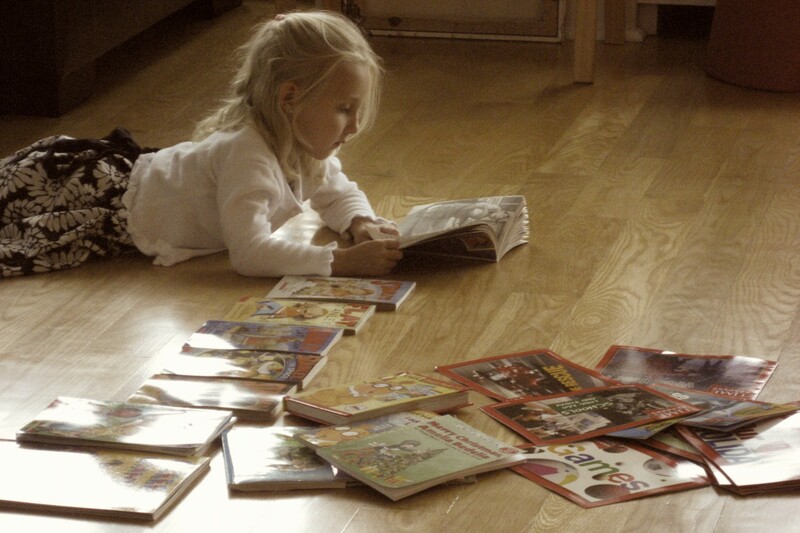 A scavenger hunt that’s fun for the entire family and Ed Tech Bingo to start the fun. Plus there’s multiplayer demos with multiple chances to win prizes- free and discounted app downloads, Little Bits electronics and toys and games from Jade’s ToyBox. • STEM, the Arts, Language & Literacy, Mind & Body Health and 21st Century Skills learning stations will allow your child an opportunity to explore his or her personal areas of talent, strength or interest. • The 2014 Michael Perelstein Memorial Scholarship Fund’s Discover Your Passion Competition in partnership with School Search Solutions presents a showcase of their talented kid winners. Will your child be next? • With a focus on families, The Ed Tech A’Fair allows parents with children in kindergarten through 8th grade an opportunity to explore with like-minded families and peers – innovative new tools and student projects that inspire. Tickets to the Ed Tech Family Day: A’Fair start at $10 for children and $20 for adults and can be purchased here. 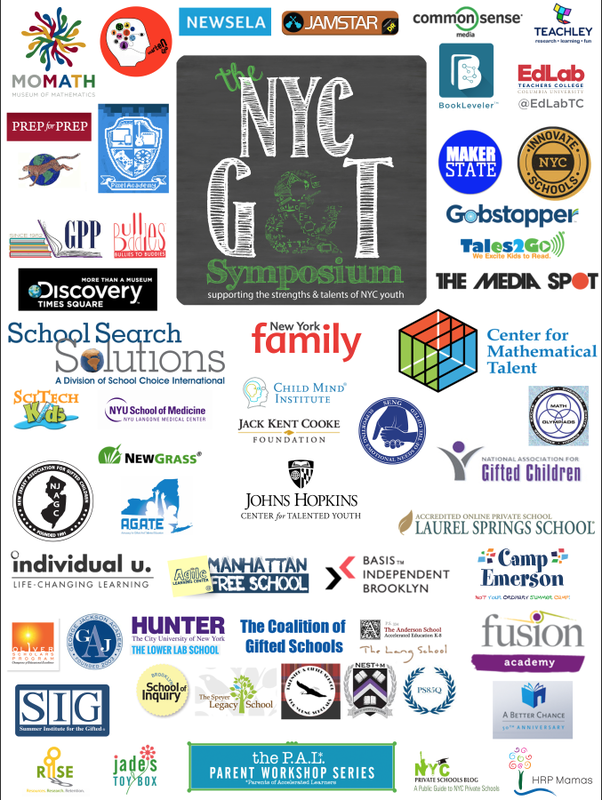 The NYC Ed Tech Family Day: A’Fair is hosted by New Explorations into Science, Technology and Math [NEST+m], New York City’s premier K-12 public school for Gifted and Talented students. Want to join us for FREE? Click here for more details of how you can help by volunteering on the day of the event. 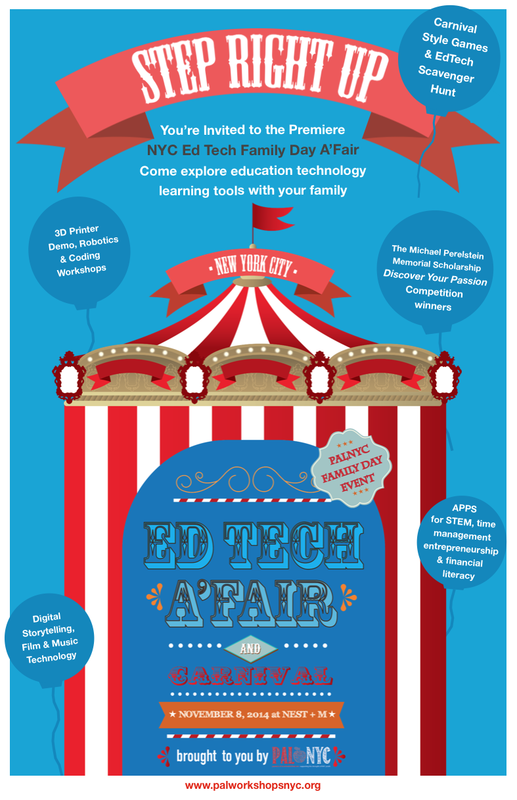 Interested in Sponsor and Exhibitor opportunities with PALNYC for the NYC Ed Tech Family Day: A’Fair or other events? View our Sponsorship & Exhibitor Prospectus, and apply to sponsor, exhibit or advertise at the event and register here. For questions or more details, contact PALNYC Executive Director Angelique LeDoux at 212.343.8881.